In Galloway, Louis L’Amour tells the story of two brothers who must struggle to survive in a wild and beautiful land to build themselves a ranch and a future. Trouble was following Flagan Sackett with a vengeance. Captured and tortured by a band of Apaches, he escaped into the rugged San Juan country, where he managed to stay alive until his brother Galloway could find him. But the brothers were about to encounter worse trouble ahead. Their plan to establish a ranch angered the Dunn clan, who had decided that the vast range would be theirs alone. Now Galloway and Flagan would face an enemy who killed for sport—but as long as other Sacketts lived, they would not fight alone. I love reading Louis L’amour. I enjoyed reading it a second time and still found fun and intreging. I love westerns and enjoyed the gunfights, and the love story. 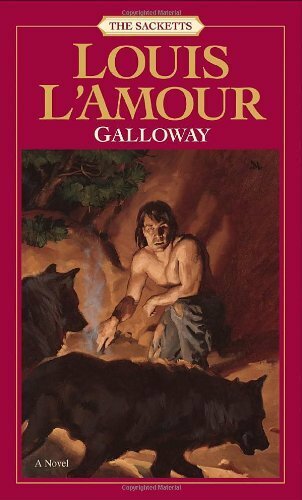 Galloway is not the main character of this book, but his brother who narrates the book. I would recommend reading the Sackett books prior to this one so that you have a back story to this book. I enjoyed reading all the Sackett books a few years back and definitely recommend them all.